I do not believe in constantly complaining to others about your job. It’s really simple. If you no longer love your job, the company or the people you work with, then you should just start looking for another job. Leave with joy. Perhaps it’s time to spread your wings, your skills somewhere else. But what if you are not ready to leave? Then face the issues, talk it out AND find solutions. Don’t get stuck with complaining. And perhaps you should work towards sharpening your working skills and even add a dash of color to your work life — to your working world. And perhaps, you can start with your hair. Yup. No joke there. You can start with your hair. Make it a joy for you and for others to look at even if at work. Unless of course your office will say no to lovely hair. Investing in a good haircut, hair color and yes, wigs can be a cool idea. Go short and stylish with a bit of angst. This look might be your best yet. Project a “can-work-well-with-others look” with your unique personality still intact. Opt for that clean, feminine look. 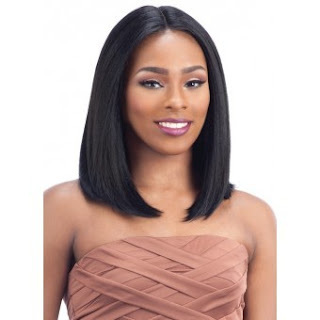 Most people still equate femininity with a longer length of hair than say, a cropped hair look. Embrace the look with your favorite blazer or top. Go with a hint of pink and show your artistic personality. Or perhaps a hint of blue, green, purple. If it’s in the office setting, no need to shock others with loud, in-your-face full colors. Slight hints will suffice to let all know how artistic and creative you really are. Mix it up and still look like a boss (which you are or soon will be). Who says your hair should always look neutral, bland in the work world? Let it bounce, let it show different shades of you. Show a low maintenance but chic look. Let it be known that you are here to focus on your job. Your hair won’t even be in the way. It will just stay as a chic crown on your head. 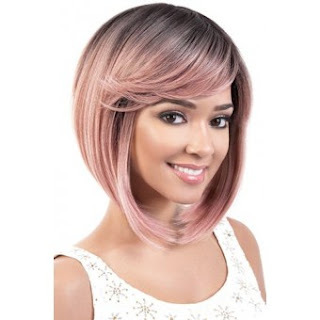 If you are wondering by now where in the world can you find such cool wigs, the answer is Divatress. So, if you haven’t resolved your work issues yet in 2017. Make 2018 different. Go find a new job or find solutions to your present job situation. Work it out. And find ways to add color to your working world.